Reclamation District No. 3 provides flood protection in the form of levee maintenance and drainage to the landowners of Grand Island. It does not supply water, which is the responsibility of the individual landowners. Reclamation District No. 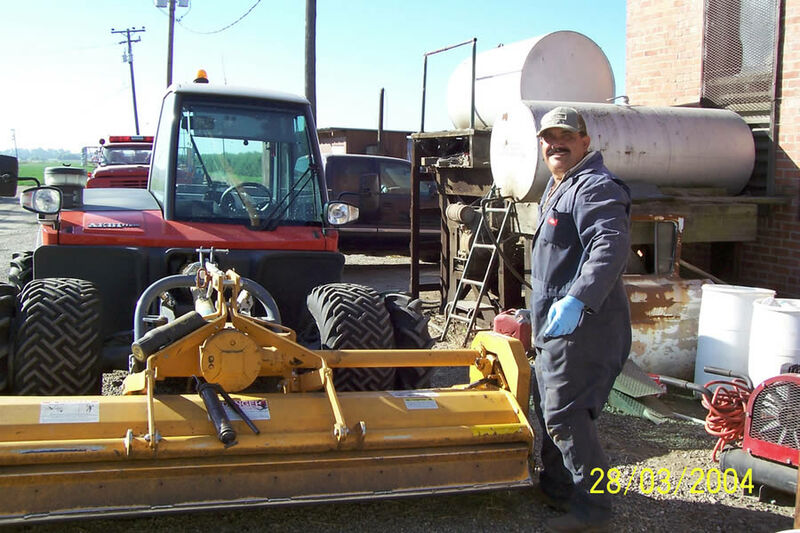 3 operates and maintains all the levees that protect the landowners of Grand Island (28.77 miles). In addition, it maintains 37.23 miles of canals and ditches that provide drainage to the property owners. These ditches and canals are fed by farmer ditches, which are designed by the landowner to adequately drain their property. Once the drain waters enter the Reclamation District No. 3 ditches and canals, water is removed at pumping plants located at three sites on Grand Island. 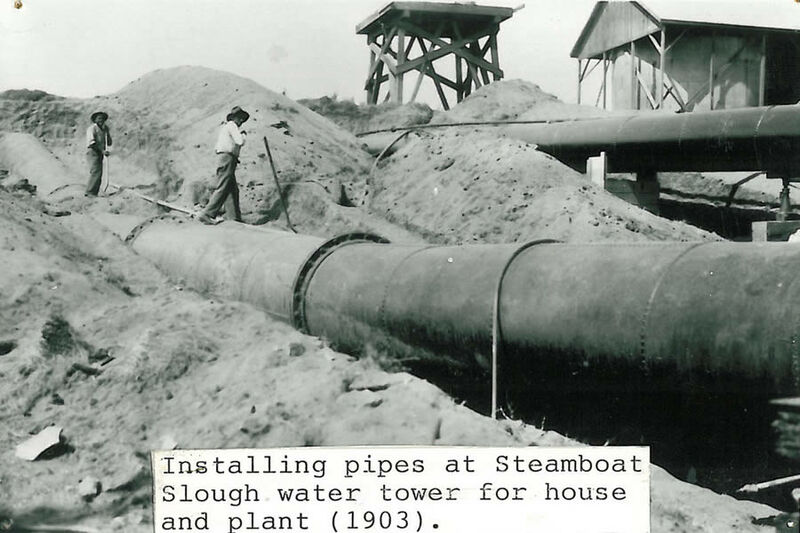 One of these sites is located on the Sacramento River and two of the sites are located on Steamboat Slough. Local Participation in Federal Flood Control Projects. Historically, the Federal and State governments have cooperated to improve some of the flood control works built and maintained by local districts in the Sacramento and San Joaquin River systems, or to build new such works. To satisfy the conditions of Federal involvement in such projects, the State has agreed to operate and maintain the new or improved works. Under Section 8618 of the Water Code, reclamation and levee districts are in tum authorized to make agreements with the Central Valley Flood Protection Board to perform these actions instead of the State. For this limited purpose, reclamation, and levee districts are sometimes called "local maintaining agencies." The Reclamation District No. 3 levees are part of the Federal Sacramento River Flood Control Project. 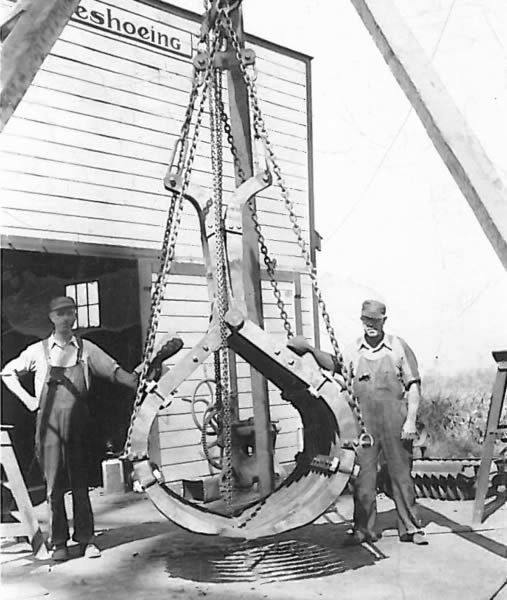 This federally authorized project reconstructed the levees of Grand Island in the late 1950s. As part of a Federal project, the State of California is the local sponsor with Reclamation District No. 3 acting as the local maintaining agency. In order to verify that the District is maintaining its levees properly, the State inspects the levees two times a year (spring and fall) and Reclamation District No. 3 inspects its levees twice a year (summer and winter). The key inspection is the fall inspection performed by the State of California. This inspection, which occurs just prior to the flood season, is used by the Corps of Engineers to determine whether the levee is being properly maintained in order for Reclamation District No. 3 to qualify for Federal emergency funding through Public Law 84-99. Governance. A reclamation district is governed by a board of trustees, who exercise "general supervision and complete control over the construction, maintenance, and operation of the reclamation works, and generally over the affairs of the district." Water Code § 50652. Trustees must be district landowners or agents of district landowners, and they serve four-year terms. Trustees are elected to office by district landowners and residents. The trustees may be compensated for services performed. Reclamation District No. 3 is currently governed by a board consisting of five trustees. These trustees represent five different landowners. The board meets monthly, typically on the third Thursday of each month. Items discussed and actions to be taken at this meeting are described in an agenda that is posted prior to the meeting at several public locations in and around Grand Island. Funding. Districts are generally funded by assessments and/or fees and charges. Assessments are a levy against district lands that receive special benefits from operation of the district works. Assessments may be used to pay for the design, construction, operation, and maintenance of reclamation works. Assessments are considered a lien against the benefited property, and the property can be sold to pay delinquent assessments. Since 1997, new or increased assessments may be imposed only if proportional to the special benefits provided, supported by a detailed engineer's report, and approved by a majority vote of the affected landowners. Districts may also charge for provision of water or for other services, including drainage. 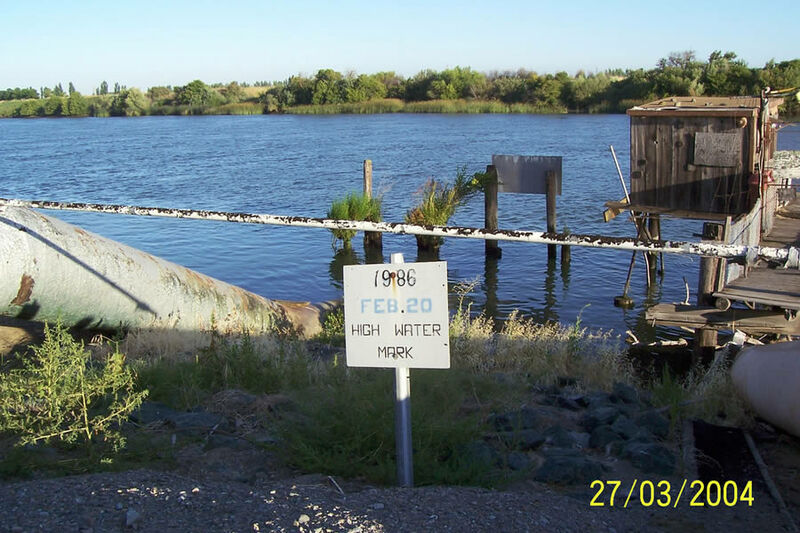 In addition, reclamation districts in the Sacramento-San Joaquin River Delta are eligible to receive partial reimbursements for flood control work under the Delta Levee Maintenance Program (commonly referred to as the Subventions Program) and the Delta Levees Program. Reclamation District No. 3 participates annually in the Delta Levees Subventions Program. On the average, their annual claims to this program are approximately $500,000. As described by the Delta Levees Subventions Program criteria, when funds are available, the State reimburses up to 75%, after the District spends $1,000 per mile. Therefore, the District’s annual reimbursement, which occurs in arrears, approximately nine months after the end of the State fiscal year, is in the neighborhood of $350,000 to $375,000. Although it does not typically receive Federal funding, the District has consistently maintained its levees adequately enough to be eligible for disaster assistance under Federal PL 84-99. This assistance is provided by the Corps of Engineers in either emergency operations assistance during a flood fight or repair of damages incurred during a federally declared disaster. Repair work under PL 84-99 was performed by the Corps of Engineers on Grand Island levees following the recent floods of 1997, 1998, and 2006. The funding required to operate and maintain the drainage facilities of the District, and also contribute to the local cost share of the Delta Levees Subventions Program, is provided by the landowners through their assessments. These assessments, as described above, are based proportionately on the benefits provided by the features maintained by the Reclamation District No. 3, that being the levees and the drainage system. This pro rata benefit was established long ago (Reclamation District No. 3 records indicate approximately 1914). Although the pro rata assessment rates have not changed in nearly 100 years, the amount of money needed to operate has increased. As increases are warranted, as described above, an engineer’s report is prepared to document the total amount of revenue required from local assessments. Since 1997, when the new laws went into effect (Proposition 218), requiring extensive reporting and voting by the landowners in order to raise total assessment, Reclamation District No. 3 has never had to change its assessment. Liability. Liability for damage of property occurring in association with the failure of flood control works is a complex subject. As declared by the California Supreme Court, a "public agency that undertakes to construct or operate a flood control project clearly must not be made the absolute insurer of those lands provided protection." The California Tort Claims Act, Gov't Code Section§ 810 et seq., provides broad statutory immunity from most types of suits seeking money damages against public entities. A district could potentially be held liable in inverse condemnation for damages resulting from a plan of flood control that is held unreasonable based on application of numerous balancing factors, and in one highly publicized case, the Court of Appeal held that a reclamation district, if tasked merely with maintaining the levees, cannot be held liable for design deficiencies.